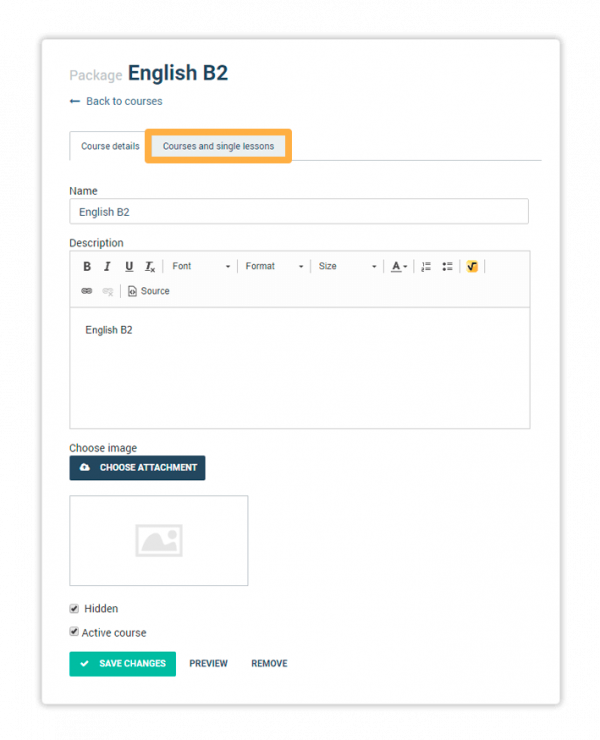 Learning Management System Create a Package – The Packages option allows you to bundle two or more courses together. Students will be able to subscribe to the entire package rather than having to subscribe to each course individually. 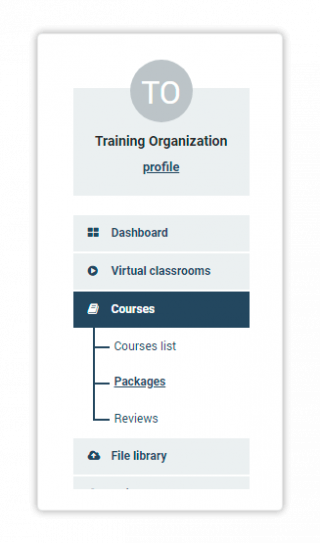 Only Organisation accounts have access to the Courses menu where they can create a package in an LMS. Active course: Check this to make sure that the package is available for subscription. Hidden: When this option is selected, the Package will not be visible in the Preview page. A couple of new tabs will open allowing you to add more information. You can review the name of your Package, upload an image for your Package and review the description. 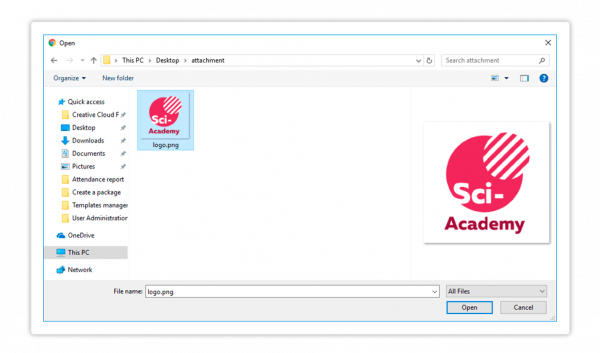 To upload an image as an attachment for the package, click on Choose attachment, select the image you want to use locally from your computer and click Open. 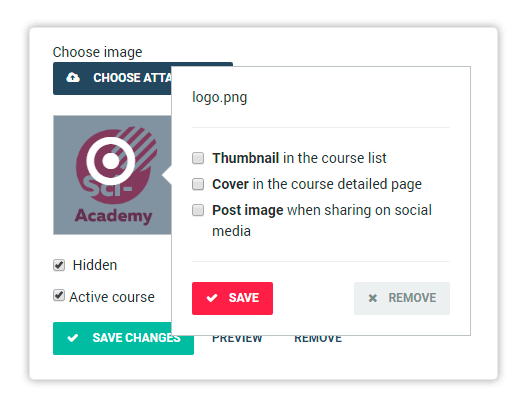 Thumbnail in the course list: this option will set the image as a thumbnail in the Courses menu on your LMS. Review the information you filled in for your package, then click on Save Changes in order to finalize its creation. To add a course to your Package click on Courses and single lessons. 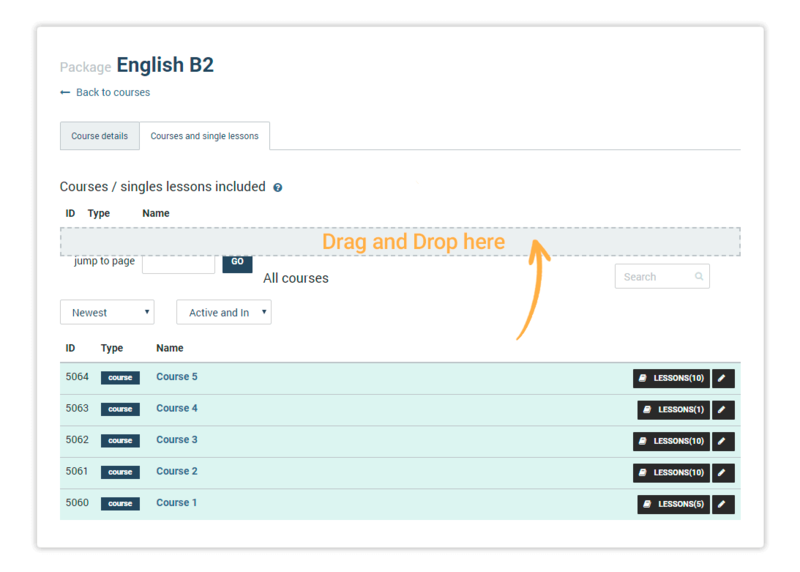 The Courses and single lessons tab contains a list of every course that has been created in your learning management system. 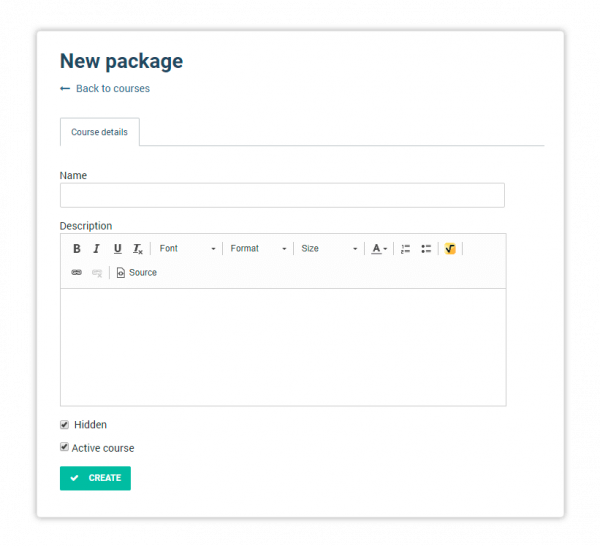 To add a course to a package, click on the course, e.g., Italian B1 (screenshot above), and drag and drop it into the bordered grey-colored field. If you have not yet created a course and would like to know how to do that, you can check out the next article listed below first. Once you drag and drop the course into the bordered grey-colored field, you will see that the field will get filled in with the course. To save the changes, go to Course details and click on Save Changes. Once done, you can move on to choosing a teacher as well as adding lessons and sections to continue developing your course’s content. You can see how to do that in the next article.